For a few days each year, hundreds of EVE Online players from across the world flock to a frozen volcanic rock at the top of the world for the annual EVE Fanfest. I was on the ground at EVE Fanfest 2017 last week in sunny Reykjavik to get the latest on what’s ahead for EVE and CCP’s other titles, and it was a thoroughly enlightening experience. We learned all about CCP’s amazing plans to roll out adaptive AI-driven PvE across the game world, talked to players and developers, and heard about the next stage of Project Discovery that will let players search for real exoplanets in space. We also got hands-on with CCP’s immersive VR sport game Sparc, looked at Valkyrie‘s new Groundrush game mode that has players fighting inside huge structures on a planet’s surface, and confirmed that DUST 514 successor Project Nova is still in development. There were talks at Fanfest that we just didn’t get a chance to go to, and others that really have to be seen first-hand. Thankfully, CCP has recorded most of the event and has begun uploading talks to the EVE Online YouTube channel. In this edition of EVE Evolved, I’ll be running down some of the highlights of the official videos from EVE Fanfest 2017 for those who missed the event. The EVE Online keynote following the opening ceremony on the first day is always one of the highlights of EVE Fanfest, giving developers an opportunity to look back at the past year and ahead to the next. This year’s keynote started strong with a retrospective on an absolutely jam-packed year of releases — It’s hard to believe that everything from engineering complexes and skill-trading to free-to-play clone states and the colossal Siege of M-0EE8 has happened within the past year. Announcements for the year ahead were actually pretty thin on the ground in this year’s keynote, but it definitely gave the impression of solid progress. We heard about a new Frigates of EVE book, got the CSM election results, and saw high-level details of the new exoplanet-hunting minigame coming to Project Discovery. I was personally pretty pleased to see the graphical overhauls coming for the Vexor (one of my favourite ships in EVE), and the new star graphics are frankly incredible. We also heard about the amazing new alliance-scale PvPvE activity around the siege of a blood raider shipyard, the final details of the moon mining gameplay, the next step for the New Player Experience, and more. Fanfest attendees were privileged this year to hear a guest lecture from world-renowned astrophysicist Dr Michel Mayor from the University of Geneva. Professor Mayor is widely regarded as the father of exoplanet research and recently won the 2017 Wolf Prize for Physics for the discovery of the first planet orbiting a distant star. He’s now collaborating with the University of Reykjavik and citizen science company Massively Multiplayer Online Science to produce a new mini-game for EVE Online‘s Project Discovery that will get players to hunt for exoplanets in the real world. This talk is a pretty broad scientific overview of some of the techniques used in exoplanet discovery, rather than a look at the new mini-game, and was an absolute privilege to attend as someone with an interest in the field. 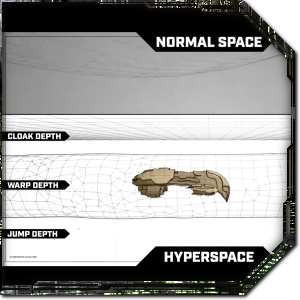 More details of the minigame itself were announced at the end of a separate talk about Project Discovery’s first iteration. The big take-away from EVE Fanfest 2017 for me was CCP’s plan to roll out an amazing new type of AI-driven PvE gameplay all across New Eden. 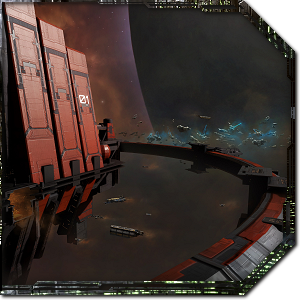 We got our first taste of this back at EVE Vegas 2015 when CCP Affinity got us to imagine a future EVE with NPCs that interact with us just like players do. 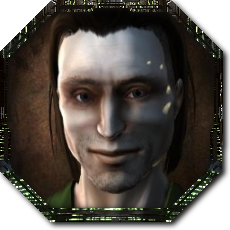 We dared to imagine NPC factions building real ships and warring over territory and building procedural military complexes for players to raid, lone NPCs roaming the game and interacting with players, and even NPCs calling for backup the way players escalate in a PvP encounter. CCP sounded a note of caution at the time, stating that this new gameplay was years away if it does happen, and this year’s Fanfest confirmed that it’s actually happening. We delved into the new Blood Raider shipyard PvE and future plans to roll this feature out across the game in a previous article, including an interview with Executive Producer Andie Nordgren. The talk below by Team Phenomenon looked at the new AI tools that make this gameplay possible, and developers answered some questions on future plans for these features. 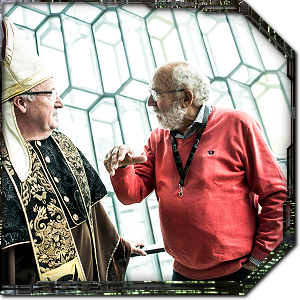 You may have heard of EVE Online‘s infamous space pope Max Singularity, who has gathered a following in the EVE community and wandered the halls at this year’s Fanfest accompanied by an entourage of space nuns. In real life, Charles White is a scientist for NASA’s Jet Propulsion Laboratory and his talks at player events are legendary. The talk he gave at EVE Vegas 2016 was one of the highlights of the event, and this year at EVE Fanfest 2017 he was back with a new talk all about the physics of EVE. In the talk below, Charles puts the universe of EVE in context and attempts to explain the fictional science behind warp drives, cloaking, thrusters, stargates, and the other technologies in EVE. Charles had to create all of this as part of his contribution to the Frigates of EVE book, as it contains cross-sections of ships and shows the technology inside. The talk is also mixed with a compelling fictional history of the technology in EVE, though CCP didn’t pre-review this talk so we don’t know exactly how much of this is considered canon. The Ships and Modules talk is an annual tradition at Fanfest, giving developers a chance to talk game balance with fans and give an indication of changes that might be coming to EVE in the near future. It also allows developers to throw some ideas out to the crowd to stimulate discussion during the official game design panel and the balance roundtable. This year’s talk started with a look back on a year of balance changes and the upcoming Blood Raider capital ships and limited edition CONCORD ships. 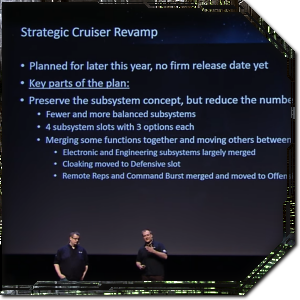 The most interesting part was the discussion surrounding the tech 3 strategic cruiser rebalance at around the 15-minute mark. These ships are being given a complete balance pass in order to condense their functions into fewer subsystems and hopefully keep tech 2 cruisers (particularly Heavy Assault Cruisers and Recon Ships) viable. There are some positive changes on the way such as the ability for T3 cruisers to swap out their rigs, but in general it’s sounding like a nerf. Don’t forget to check out the Game Design Panel that happened after this talk to see if the questions you want the answers to were asked. 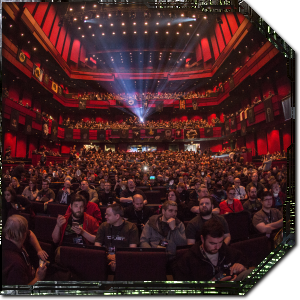 EVE Fanfest 2017 was a very community-oriented affair this year, and one the best parts of the event was just talking to players and developers about what they’ve been up to lately. Though that’s something you’d have to attend the event for, above are a few of the recorded highlights for those of you who weren’t able to go. Massively Overpowered was on the ground in Reykjavik, Iceland, for EVE Fanfest 2017, bringing you expert coverage from EVE, Valkyrie, Gunjack, and everything else CCP has up its sleeve! 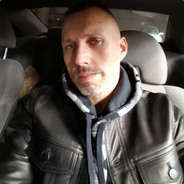 Disclosure: In accordance with Massively OP’s ethics policy, we must disclose that CCP paid for our writer’s travel to and accommodation at this event. CCP has neither requested nor been granted any control or influence over our coverage of the event. They also gave us EVE swag backpacks and a trip to the Blue Lagoon to relax after the event, which was pretty awesome. I’m looking forward to the changes to EVE this year. Love that the Vexor is being visually updated, as it’s also one of my favorite ships (along with the Ishtar of course). I’ll have to read up more about the T3 changes, as it might impact my upcoming plans. The past year saw a lot of development. But the info they had on the upcoming year was thin. Hopefully the new Hi-Sec content set for Winter will be special.